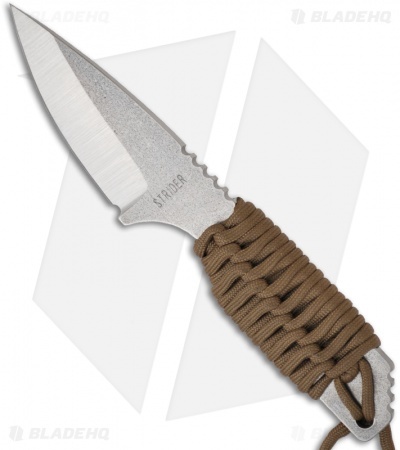 This SA fixed blade knife from Strider features a light and strong titanium blade! The spearpoint blade is hollow ground and sharp with a satin grind and stonewash finished faces! 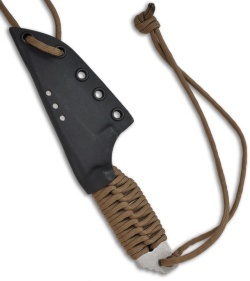 The front tang is marked "STRIDER" and the back has their logo. Full tang construction makes this knife very solid. The handle is coyote paracord wrapped and features jimping on the thumb ramp. Includes a Kydex sheath with paracord.